According to the post, the proud young programmer had received his college degree, then packed up for a cross-country move to a shiny new job as a junior software developer. At a company with over 100 employees — and over 40 developers — it was his first non-internship position, and you can imagine that hopes were high for that first day on the job. “Unfortunately i screwed up badly,” he wrote. With nowhere else to go, the developer had turned to Reddit “CS Careers Questions” forum. The poor developer described himself as “confused” and “terrified.” He wondered if he could hold on to the job. He then did what probably any stressed out young developer would do — go out for a drink. Waking up — presumably a little hungover — he logged in to Reddit to discover that his post was on its way to over to over 23,000 upvotes, 4,500 comments, and countless private messages. His story had quickly become the forum’s top vote-getter of all time, earning seven times as many upvotes as its next-most popular thread. It was a stunning display of support, and the universal response seemed to be a collective expression of sympathy from the entire industry. This prompted an interesting analysis of Amazon’s response. “They wrote a COE (correction of errors report) that detailed why this happened (using 5 whys to get to the true ‘bottom’ of each cause), wrote up specific immediate actions, and included lessons learned (like never make direct changes in prod anywhere without a second set of eyes approving your change through the CM process)… That report is sent out in draft form to nearly the entire company for review and comment. And they do comment. A lot. Questioning things is a cultural habit they have. For all that’s wrong with Amazon, the best part was when someone fucked up, the team and the company focused only on how we make it never happen again. Although 10 percent wanted to fire whoever did the maintenance on the backups — and another 45 percent voted to fire the CTO. 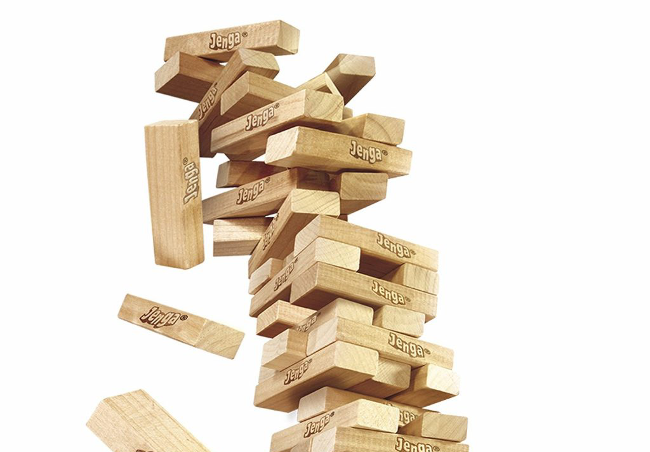 Feature image: Jenga promotional image on Amazon.